For many of us, health and healthcare appear very complex to understand. Things become more difficult when it comes to navigating the system while availling healthcare services. We need information at every step in order to understand things but we find it very hard to get that information. Thus many of us find it very hard to make our healthcare decision. 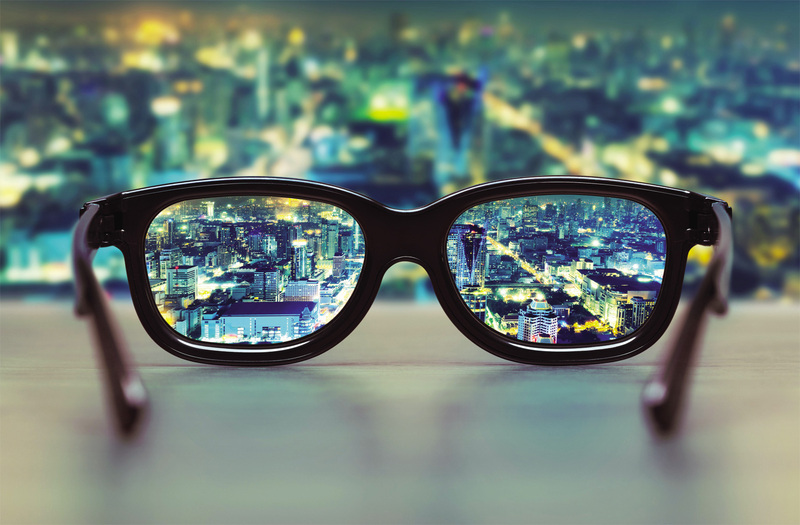 Out of the many gaps in healthcare, one of the biggest gaps is the Information gap. Apart from clinical expertise of the doctors or the healthcare providers, the outcome of any treatment or disease also depends on the appropriate and prompt decisions made by patients. These decisions are dependent upon the information available to the patients. Thus, the major determinant of poor healthcare outcome is lack of information. Addressing the information gap will strengthen the health system and improve the quality of health care services. In the long run this will help in overcoming many other big healthcare problems. At hinfoways we are working towards bridging the information gap because we firmly believe that by providing right information in a right way, we can help people to understand health, healthcare and availing healthcare and thereby help them to overcome many of its challenges to a great extent. To achieve this, we at hinfoways, are creating lots and lots of valuable and easily understandable content and a platform so that the people around the world can access such content with their smartphones or computers connected to internet. We are going to make it very simple. This will empower people take more informed healthcare decisions. TREATMENT ASSISTANCE is a Medical Tourism website that promotes India as medical travel destination. As we all know that India is one of the leading healthcare destinations in the world that provides truly world-class medical care at an unbeatable cost, we help people and patients from different countries to make best out of it. We help them to travel and avail medical treatment at some of the leading hospitals in India. HINFOSHARE is a content driven platform for doctors to share relevant health content with the patients in order to educate and empower them. The whole idea is to address the health information gap and help healthcare service providers to engage patients and help them to understand various aspects of care. Many of the big healthcare problems can be addressed if health information becomes accessible. 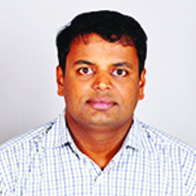 Suhas M V has more than 10+ years of experience in sales, patient services and operations management. Before getting into healthcare, Suhas has worked for a NGO (Niranthara) as event organizer and then as Manager-Operations and Sales with TATA Teleservices. In healthcare, he has worked with leading hospitals in India like Wockhardt Hospitals and Fortis Hospitals. He then started his own medical tourism facilitation firm by name Treatment Assistance and helped many patients across the world to travel to India for various medical treatments. He firmly believes in educating and empowering patients and creating systems for better patient experience. He is an ardent food lover and spends his free time with his family, friends and traveling. 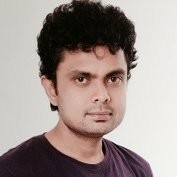 Sandeep Shetty has more than a decade of experience in hospital and healthcare marketing and has worked with few of the leading healthcare brands of India like Apollo Health and Lifestyle Ltd., Asian Heart Institute and Research Center, Wockhardt Hospitals and Indraprastha Apollo Hospitals. He started his career in operations management and then got into marketing that gave him tremendous exposure in different aspects of hospital and healthcare marketing at different locations in India. He firmly believes in using the power of content and technology in reaching people, spreading awareness and impacting their lives. He spends his free time watching movies, playing outdoor games and traveling. 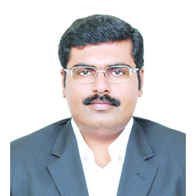 Manjunath has 10 Years of Experience in Software Development and Testing in Symphony Services, LSI & Broadcom lnc. With strong expertise in the field of Data storage solutions. Proven record of driving innovation and creating value proposition for the customers by collaborating with product marketing, strategic planning and engineering groups. Excellent track record of executing end-to-end product life cycle by working closely with cross-functional teams. Passionate about using technology to innovate and to solve problems. His contribution as a consultant and board member has been instrumental in identifying and building strong team, designing overall framework and validating the platform to ensure the implementation is effective and efficient. Also actively involved in the strategic decision making for future product development and company growth. He spends his free time travelling , watching documentaries or listening to music. 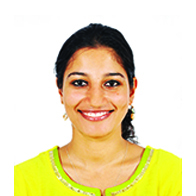 Dr. Bhavna Pandey has more than 4 years of experience in the field of dentistry, and has worked with the leading healthcare organizations like Vydehi Institute of Dental Sciences and Chettinad Dental College and Research Institute, in Bengaluru and Chennai respectively. A gold medalist in the field of Oral Pathology, she has specialized in the medical field of pathology and diseases, their prevention, diagnosis and treatment. She spends her free time running marathons, watching movies, travelling and blogging. At hinfoways, she is working on medical content development and simplifying complex healthcare and medical aspects for the benefit of patients and common people. Her clinical and teaching experience helps her a lot to think various aspects from patient’s perspective. She has authored and co-authored various medical publications and presentations. She is also involved in volunteering work and actively participates in medical outreach camps and providing service at peripheral health centers. Dr. Divya Sharma has experience both in clinical and non-clinical aspects of healthcare. She has worked and got trained in some of the leading healthcare organizations in India. She has authored and co-authored various medical publications and presentations. At hinfoways, Dr. Divya Sharma looks after the medical operations and ensures quality and correctness of medical content, information and communication. She also helps in developing medical content and guides the design and technical team to develop things from healthcare and patient perspective. She is also involved in volunteering work and actively participates in medical outreach camps and organizing continuous medical education programmes for the clinicians. She spends her free time in painting, reading and cooking. 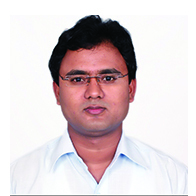 Gururaja Bhatt is member of the ‘‘Institute of Chartered Accountants of India and also a company secretary. He also holds Bachelor in Business Management from Mangalore University. He comes with rich corporate experience of working across multiple functions such as FP & A, Controllership, Business Finance, M&A areas in large corporates. Managing Financial planning and Analysis, controllership, business finance function for small and medium enterprises and large corporates. Handling end-to-end statutory and tax audits for companies across multiple industries such as ITES, Hospital, Retail, Ecommerce, Banking and Financial institutes manufacturing companies and co-operative societies. Performance forecast. Forecasting and presentation of Revenue and P&L, Preparation and circulation of periodic MIS, Review of the MIS with various stakeholders, Larger Management review and tracking the actions for closure. Regular tracking of forecasted numbers to highlight any risks in forecast. Financial Planning and Analysis, Cost reduction, Operational Performance Excellence. Pricing and commercial negotiation. Contract negotiation with Customer and vendors, deal pricing and deal modeling, Pipeline and deal win-loss analytics. M&A Support. Financial due diligence of Target Company to assess the feasibility, IRR, Payback period, Synergy benefits and making a final deal proposal to senior management. Exposure to major ERPs such as SAP, Tally, Finnacle etc. Statutory and tax audits, corporate tax filing and other statutory filings with Commercial taxes, Service tax department for our Indian and foreign entities. Pratheep has 12+ years of experience in digital marketing, and has worked with companies like IBM, Thismoment, MindTree and Wockhardt Hospitals. 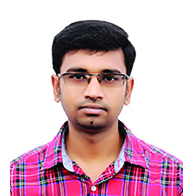 He started his career as a SEO specialist and grew into a digital marketing role at MindTree. An expert in marketing automation and web content management, Pratheep also has years of web development, marketing operations and campaign management expertise. He spends all his free time with his family, and occasionally plays strategy and FPS videogames. Over a decade of experience as Online Marketer, specializing in SEO, SMM, PPC, Email Marketing, Web Analytics, Campaign Execution and Web CMS Integration. Has experience in complete lifecycle management of B2B/B2C marketing activities, starting from proposal engineering, strategizing and successful execution of campaigns. Formulated and executed many successful lead generation and brand awareness campaigns via multiple online channels. Helped in redesigning multiple websites to comply with search engine algorithms and to improve search engine visibility. Expertise in customizing and maintaining the marketing automation tool, Marketo. Setup, integration and maintenance of sales and lead management tool, Salesforce. Ability to customize open-source CMSs like WordPress, Drupal and Joomla. Venu Murthy is a cloud architect, technologist, innovator of a very advanced technology and published author of technical courses. His most recent project has been in architecting the Airport Navigation system at one of the leading International Airports in India. From being able to lead the management of mission critical applications for various leading enterprises to migrating legacy systems to the cloud, Venu Murthy has got great exposure in various technical domains. After leading the maintenance of mission critical applications for a large Multinational bank, he moved ahead in similar role for a leading safety certification agency in the world, followed by spearheading one of the prominent tech company into the cloud. He was heading the team that Open Sourced the "Software Defined Environments" using OpenSource Software such as OpenStack, Go CD, Linux, Chef and such. This would enable the enterprises to get the Dev/QA/Staging or productions environments at one click. After some globetrotting DevOps consulting gigs for enterprises ranging from World's 2nd largest Retailer to worldwide leader in IT, Venu Murthy worked towards architecting the Data Driven Digital platform for South India's Leading Airport. 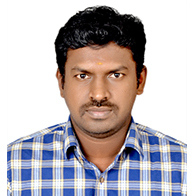 Sathishkumar has more than 5 years of experience in the field of Web technology. Before joining hinfoways, he had worked with few leading web development and digital marketing companies. He has diverse experience in the field Operating Systems, Web Development Methodologies, Web Development Programming, CMS, Database and Development tools. 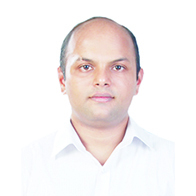 At hinfoways, Sathishkumar is a part of the technology team that would develop technologies to address healthcare challenges and make things secure and easier for the end users. For him it is all about Music, Gaming and Photography in free time.